Volta Redonda is a Brazilian steel town founded in the 1940s by dictator Getúlio Vargas on an ex-coffee valley as a powerful symbol of Brazilian modernization. The city’s economy, and consequently its citizen’s lives, revolves around the Companha Siderurgica Nacional (CSN), the biggest industrial complex in Latin America. Although the glory days of the CSN have long passed, the company still controls life in Volta Redonda today, creating as much dispossession as wealth for the community. Brazilian Steel-Town tells the story of the people tied to this ailing giant – of their fears, hopes, and everyday struggles. Massimiliano Mollona is Senior Lecturer at Goldsmiths College, London, where he teaches Economic and Political Anthropology and Art and Anthropology. 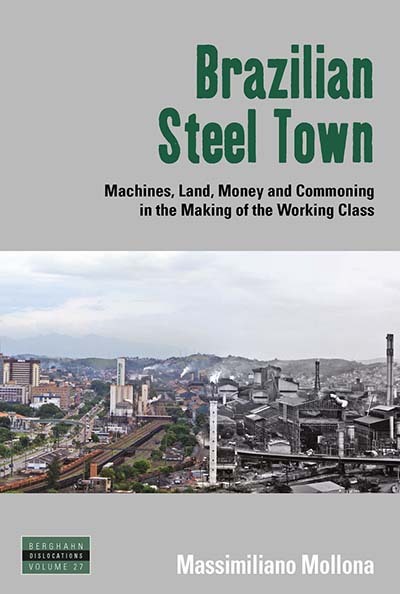 Among his publications are Made in Sheffield, an Ethnography of Industrial Work and Politics (2009, Berghahn) and with Don Kalb, Worldwide Mobilizations : Class Struggles and Urban Commoning (2018, Berghahn).